In my opinion, the essential esprit de corps that every successful company needs can’t exist when employees and ownership see themselves as being on opposite ends of a seesaw. Everyone at a company—owners and employees alike—need to be sitting on the same end of the seesaw because the world is sitting on the other end. I believe unions promote a corrosive us-against-them dynamic that destroys the esprit de corps businesses need to succeed. And that corrosive dynamic makes no sense in my mind where an entrepreneur is staking his capital on a business that is providing jobs and promoting innovation. Of course, his response to his newly unionized employees, who hadn’t even made any demands yet, wasn’t exactly conducive to esprit de corps, either. As a headline in the opinion section of the New York Times put it, Ricketts, who supported Donald Trump after spending millions of dollars in an unsuccessful bid to derail his candidacy, seems to have closed his own businesses entirely out of spite. The Observer was a hybrid—tabloid heart, broadsheet brain. A funny man in a serious mood, a serious man with a sense of humor…Kushner either did not get this or did not care. Millennials have a thing about broadsheets. They’ve grown up reading on phones, that smooth path of entry. They can’t stand unwieldiness—following a piece from front page to jump, and all that folding, and the ink stains your fingers. Kushner took the Observer to tabloid size, discontinued its print edition, and even fired Rex Reed, turning the paper into a ghost town. He and Hughes are at opposite ends of the political spectrum, but they both seized a vulnerable publication, tried to turn it into something that it wasn’t, and all but destroyed it. Ricketts, who shut down Gothamist a mere eight months after buying it, simply took that process to its logical conclusion. And these cases all point to the risk involved when the future of a media enterprise lies in the hands of an outside benefactor who sees no reason not to dismantle it as impulsively as he bought it in the first place. ANC was big, mighty, and old. It had been around so long that over the years it had acquired all sorts of valuable property. Land. Buildings. Restaurants. Franchises. Items of considerable cash value, acquired when time was young and everything was cheap, and still carried on their books at the pitiful acquisition costs of 1890 or 1910. A stock operator took note of all this and observed that if you bought up all the outstanding stock in ANC (a publicly held corporation) at prevailing prices, you would have acquired an awful lot of valuable real estate at, really, only a few cents on the dollar. It was as profitable as buying dollar bills for fifty cents each…So he did. He bought a controlling interest and liquidated the company. The truth is slightly more complicated. The American News Company had been on the decline for years, with the departure of such major clients as Time, Look, and Newsweek, and its acquirer wasn’t a “stock operator,” but Henry Garfinkle, the wealthy owner of a newsstand chain called the Union News Corporation. There were obvious possibilities for vertical integration, and for the first year or so, he seems to have made a real effort to run the combined company. [He] later claimed to have engineered Garfinkle’s successful coup. At the publicly held company’s annual meeting in March 1955, Garfinkle headed a dissident group that eventually forced the management to resign. This bold move allowed Garfinkle to gain control of the ninety-one-year-old company, which called itself the world’s oldest magazine wholesaler. Garfinkel revamped the ailing company, renamed it Ancorp National Services, Inc., and gained a near stranglehold on the distribution of newspapers and magazines in the Northeast. This passage appears in Thomas Maier’s biography Newhouse. The benefactor who gave Garfinkle his start was Sam Newhouse, Sr., and the general counsel who oversaw the takeover—and remained at the company throughout all that followed—was none other than Roy Cohn. I’m not saying that Cohn, on top of everything else, also killed the science fiction market. But if history has taught us one thing, it’s that publications should watch out when a buyer like this comes calling. Last month Ivana Trump, perhaps the single greatest creation of the idiot culture, a tabloid artifact if ever there was one, appeared on the cover of Vanity Fair. On the cover, that is, of Condé Nast’s flagship magazine, the same Condé Nast/Newhouse/Random House whose executives will yield to nobody in their solemnity about their profession, who will tell you long into the night how seriously in touch with American culture they are, how serious they are about the truth. Now the apotheosis of this talk-show culture is before us…A candidate created and sustained by television…whose willingness to bluster and pose is far less in tune with the workings of liberal democracy than with the sumo-pundits of The McLaughlin Group, a candidate whose only substantive proposal is to replace representative democracy with a live TV talk show for the entire nation. And this candidate, who has dismissively deflected all media scrutiny with shameless assertions of his own ignorance, now leads both parties’ candidates in the polls in several major states. Keep one step ahead of them: If there is a problem, change bank accounts so they can’t grab your funds by knowing from your records where you bank. If they get canceled checks and information from your bank, they will be in a position to know much more about your life than is acceptable. And this was just a dry run. Cohn was serving as a placeholder, first for his patron, then for his ultimate pupil. Tomorrow, I’ll be looking at how Cohn and Newhouse are part of a direct line that connects Reagan to Trump, and what this means for us today. A koan is a question traditionally posed by a Zen master to a novice, and according to Hoffmann, there’s a “correct” answer for each one, in the form of a ritual response or gesture: “In some cases, the answer simply consists of a repetition of the essential phrase within the koan. In other cases, it adds a somewhat different variation of what is already implied in the koan. The best answers are those which through an unexpected phrase or action provide a flash of insight into the koan’s meaning.” And I’ll get to the “answer” to this koan in a moment. To have any kind of focus on the cause and effect of the storm versus helping people, or actually facing the effect of the storm, is misplaced…To use time and effort to address it at this point is very, very insensitive to this people in Florida. How shocking…to find Jesus actually praising this shady functionary. He praised him because, when confronted with a crisis, he had acted. You, declared Jesus to his audience, are faced with a far graver crisis, a far more urgent need for decision and action. As this relentless emergency approaches you cannot just hit with your hands folded. Keep your eyes open and be totally apart and prepared to act if you want to be among the Remnant who will endure the terrible time. I quoted these lines in August in response to the violence in Charlottesville, which seemed at the time like the most urgent manifestation so far of our own emergency. Now its memory threatens to fade, effaced by the seemingly endless succession of crises—large, small, and ludicrous—that have followed. It isn’t a political strategy or a run of bad luck, but the way of life that we’ve bought for ourselves. This is how it’s going to feel to be alive for the foreseeable future. And the best image that I’ve found for it is that of the man clinging by his teeth to the branch. It is plausible to assume that a man who holds onto a tree with his teeth would fall anyway. Answering or not answering the question is not his most urgent problem. What he needs is not philosophy, but somebody who is kind and courageous enough to help him down. I’m not going to dispute this argument, which I think is a pretty reasonable one. But I’d also like to raise the possibility that Marsh and her targets are both right. Let’s perform a quick thought experiment, and try to envision a millennial lifestyle—at least of the kind that is likely to influence the culture in a meaningful way—that isn’t in some way connected to economic factors. The fact is, we can’t. For better or worse, every youth subculture, particularly of the sort that we like to romanticize, emerges from what Marsh calls precarity, or the condition of living on the edge. Sometimes it’s by choice, sometimes it isn’t, and it can be hard to tell the difference. Elsewhere, I’ve described the bohemian lifestyle as a body of pragmatic solutions to the problem of trying to make art for a living. A book like Tropic of Cancer is a manual of survival, and everything that seems distinctive about its era, from the gatherings in coffee shops to the drug and alcohol abuse, can be seen in that light. You could say much the same of the counterculture of the sixties and seventies: being a hippie is a surprisingly practical pursuit, with a limited set of possible approaches, if you’re determined to prioritize certain values. In time, it becomes a style or a statement, but only after a few members of that generation have produced important works of art. And because the artists fascinate us, we look at their lives for clues of how they emerged, while forgetting how much of it was imposed by financial realities. Take the Futurians, for example, whom I can discuss at length because I’ve been thinking about them a lot. 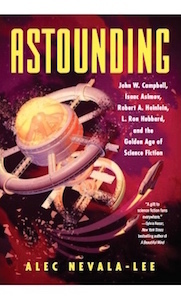 They were a circle of science fiction fans who gathered around the charismatic figure of Donald A. Wollheim in the late thirties, and they can seem impossibly remote from us—more so, I suspect, than the Lost Generation of the decade before. But when you look at them more closely, you start to see a lot of familiar patterns. They practiced a kind of communal living; they were active on the social media of their time, namely the fanzines, in which they engaged in fierce ideological disputes; and many of them were drawn to a form of socialism that even a supporter of Bernie Sanders might find extreme. Most were unemployed, trying to scratch out a living as freelance writers and consistently failing to break into the professional magazines. And they were defined, on a practical level, by their lack of money. Fred Pohl says that his favorite activity was to walk for miles with a friend to a lunch counter in Times Square to buy a cheap sandwich and cup of coffee, and turn around to trudge home again, which would kill most of an afternoon. James Blish and Virginia Kidd lived for months on a bag of rice. Whenever someone got a job, he or she left the group. The rest continued to scrape by as best they could. And the result was a genuine counterculture that arose at the point where the Great Depression merged with the solutions that a few gifted but underemployed writers developed to hang in there for as long as possible. This probably isn’t much consolation to a recent graduate in his or her twenties whose only ambition at the moment is to pay the rent. But that’s true of previous generations as well. We tend to remember a handful of exceptional individuals, particularly those who produced defining works of art, and we forget the others who were just trying to get by. As the decades pass, I suspect that the same process will occur with the millennials, and that the narrative of who they were will have less to do with Marsh’s thoughtful essay than with the think pieces about how twentysomethings are killing relationships, or car culture, or the napkin industry. And it won’t be wrong. Invariably, at any point in history, the majority of young people don’t have many resources—and that’s especially true for those who use their twenties to try to tell stories about themselves. Where the periods differ is in the details, which is why the boring fact of precarity tends to fade into the background while the external manifestations get our attention. This is already happening now, and at a more accelerated rate than ever before. It’s premature to accuse the millennials, with their science-fictional name, of “killing” anything, just as it’s too soon to figure out exactly what they’ve accomplished. Marsh writes of the baby boomers: “They can’t understand that sometimes change happens for reasons other than cultural rebellion.” But it would be more accurate to say that cultural rebellion and strategies for survival come from the same place.